Bonang’s Champagne Makes An Appearance On Prince Kaybee’s New Music Video. No doubt that anything that Bonang Matheba touches turns into gold. 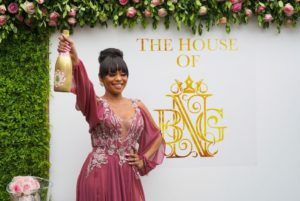 Since the launch of her champagne, House Of Bonang, she has been making positive waves. The media personality and businesswoman could not wait to share the great news with her loyal followers. “Guys!!! @houseofbng has made its first appearance!! Thank you so much Kaybee,” she said in appreaciation.